With reimbursement rates hinging on the right scores, healthcare systems all over the country have become acutely focused on moving the needle on patient satisfaction. The patient experience has become the issue in healthcare today, and the case for change is clear. OSF Home Health was no stranger to wanting to improve their patient’s experience, but faced an obstacle they didn’t know how to get around—changing the beliefs of their staff. Imagine moving your patient satisfaction scores from the cellar of the 35th percentile to the 73rd, in just 13 months. That’s what OSF Home Health did. 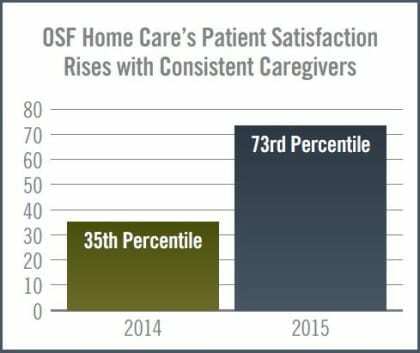 In 2014, OSF Home Health was nearing the end of its second year as a Pioneer Accountable Care Organization. Their patient satisfaction and quality metrics had been stagnant for years. Costs were high. Patients rarely saw the same nurse twice and OSF primary care physicians had no relationship with Home Health—even when the two organizations shared patients. Patient satisfaction languished in the 35th percentile. “The results that we were delivering were simply awful,” said OSF Home Care Services President & CEO AJ Querciagrossa. to validate their current worldview. We don’t walk around all day looking for ways to invalidate the beliefs we hold about how the world works. In fact, we selectively filter our experiences and look for evidence that suggests our current view of the world is correct, screening out all the other evidence that would suggest otherwise. physician practices, creating alignment around plan of care preferences and consistency with nurses visiting the same patient. The challenge was that his nurses’ belief bias around quality of life was overwhelming AJ’s great strategic thinking. The journey of addressing Belief Bias began. AJ and his leadership team began articulating to their staff the belief they wanted them to hold about case management. We helped their leadership team leverage culture management tools to begin creating new experiences that went on to foster the desired beliefs. Those experiences included telling powerful stories about where the new case management philosophy was having great impact. The new experiences included communicating data that showed the impact of the new approach to case management on Home Health HCAHPS scores. The new experiences included offering recognition, both publicly and privately to those who began owning the new direction and sharing the data on improvements in care and satisfaction, leading to greater patient care and alignment around patient needs. what they wanted to see grow! willing to consider new beliefs and are more ready to make the change. Suspending Belief Bias opens the window and accelerates change in the way people think and act. This means that any effective change process must first address the ability to suspend Belief Bias. Suspending and reorienting Belief Bias is the essence of managing organizational culture. AJ Querciagrossa addressed the belief held by nurses by creating the right experiences. He created experiences for the staff by restructuring the physician/patient/nurse mix so that nurses were partnered with specific physicians. AJ also consistently shared the data along the way so the experience really landed in a way that would shift the belief. • Patient satisfaction jumped from the 35th percentile to 73rd, and is still climbing. • Average miles per visit dropped. • Referrals from within OSF increased. • Case managers empowered to set own schedules. • Patients seeing just one or two nurses during an episode of care rose from 40% to 80%. 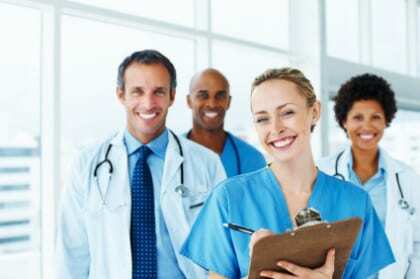 Once the nurses saw their time on the road decrease while patient satisfaction soared at the same time, they let go of their belief that had been preventing a seemingly common sense solution to the problem. The nurses at OSF Home Health wouldn’t think of going back to the old way now! Had AJ and his team not effectively dealt with Belief Bias, their toxic culture would have eaten their new strategies for breakfast. Again.